Life can be a roller coaster, at times, in the baseball world. 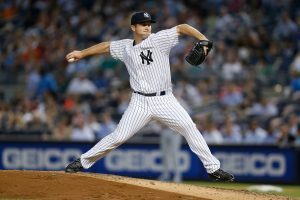 Adam Warren, relief pitcher for the New York Yankees, was traded December, 2015, to the Chicago Cubs. Then recently, here in July ,2016, Warren was traded back to the Yankees, and that does not even count the number of times going up and down from major league to the minor league and back. However, Adam Warren is not on a roller coaster when it comes to his faith in the Lord, Jesus Christ. That is rock solid. 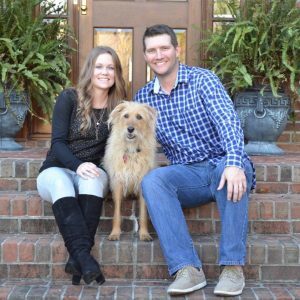 Born to Calvin and Teresa Warren, Adam grew up in New Bern, North Carolina, where he was a star in the classroom as well as on the baseball field. He was an All Stater in 2004 and New Bern Sun Journal “Player of the Year.” Adam went on to star at the University of North Carolina where he accumulated a career record of 32-4, and he graduated with a degree in business administration. Adam was selected in the fourth round of the 2009 major league draft. When it comes to reaching out to others about his faith, Adam is making an effort to be more outward. His most effective way to witness his faith is by example. He comments, “I would want people to look at me and see there is something different about me. Hopefully, they would ask questions; and in our conversation, I can share with them my love for Jesus. There have been some opportunities to share my testimony at churches and events, like Fellowship of Christian Athletes (FCA) and Athletes in Action (AIA).” Warren was active in FCA all through high school, and he was involved in AIA in college. But what stands out the most about Adam is that baseball is what he does, not who he is. His identity rests in Christ and that’s reflected in the way he lives his life. Bruce Darnall is a retired middle school guidance counselor and now a part-time real estate broker. He coached high school and junior college women’s basketball. He volunteers at the local food pantry and Respite, and he is an elder in his church. Bruce graduated from Eureka College (B.A.) and Butler University (M.S. ), and he attended the University of Wisconsin at Madison and Christian Theological Seminary. Bruce started his writing in 1965 with his college senior thesis “Religion and Professional Baseball” where he interviewed the likes of Brooks Robinson, Bobby Richardson, Bill White, Tommy John, Felipe Alou and several others. He has written articles for the Fellowship of Christian Athletes and Athletes in Action. Bruce co-authored a book on USAC midget racing champion, Mel Kenyon, titled: “Burned to Life.” Bruce and his wife, Gloria, live in Lake Mills, Wisconsin, and have four adult children and several grandchildren. Bruce has written 27 articles on What Christians Want To Know! Read them in the archive below. Previous post: In What Ways Are Christians Called To Be Like Jesus?